Thousands of quintals of spurious milk, paneer, ghee and khoya have been seized since the drive was launched about a month ago. 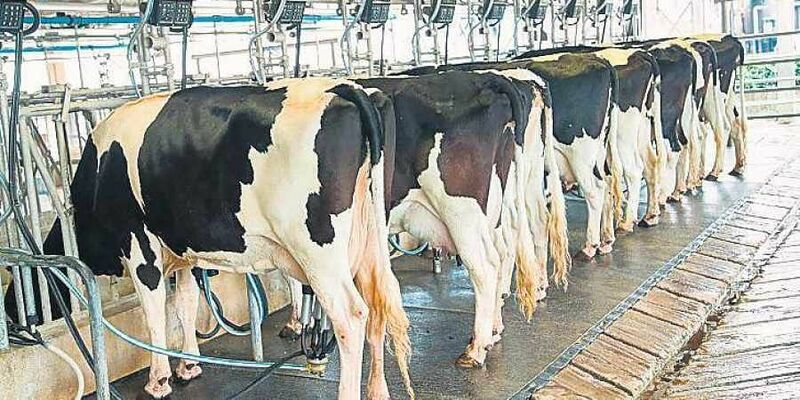 CHANDIGARH: Punjab is the leader among India’s major milk-producing states, with around 36 million litres of it produced daily, resulting in per capita milk availability of 1,035 millilitres a day. But there is a dark side to this story: 60 per cent of the milk and milk product samples tested as part of a drive against food adulteration failed quality tests. Thousands of quintals of spurious milk, paneer, ghee and khoya have been seized since the drive was launched about a month ago. Sources say there are several illegal factories in the state making spurious milk and milk products and selling them to ghost dairies, which sell them on to sweet shops, restaurants and bakeries. A few of them have been unearthed. Large quantities of spurious milk and milk products have been seized in Moga, Patiala, Ludhiana, Sangrur, Amritsar and other places. “They make paneer or khoya from skimmed milk. One portion of poor quality skimmed milk powder and three portions of starch are mixed, and refined or hydrogenated oil is added for fat content to meet the FSSAI standards. Toilet cleaning sulphuric acid is used instead of citric acid to coagulate milk while making paneer,” said an official, adding that soy milk coagulated with chemicals was also passed off as paneer. KS Pannu, Commissioner, Food and Drug Administration, and director of Tandurust Punjab Mission, who is leading the campaign against adulteration, told The Sunday Standard that about 10 per cent of the milk and 20 per cent the milk products in the state were suspected to be adulterated or spurious. A large number of units in Punjab are engaged in manufacturing low-quality, misbranded, spurious and adulterated milk and milk products, he said. “These units sell paneer at `170 a kilo whereas the manufacturing cost of paneer is `270 a kilo. Similarly, some units sell ghee at `200 a kilo, which is 50 per cent of the cost of production. “Till now, 1,424 samples have been collected and approximately 60 per cent have failed quality tests,” he said. According to Pannu, the Food Safety and Standards Act 2006 is weak, as the maximum punishment prescribed is imprisonment up to six years and a fine of up to `10 lakh. “The Punjab government is reviewing the law, and after examining all aspects of the law, including the issue related to punishment to offenders, the matter will be referred to the Union government for amendment of the act,” he said. more than 10 animals and are termed as commercial dairy farmers. As per the data of the Animal Husbandry Department, there are 52 lakh buffaloes and 21 lakh cows in Punjab, of which 70 per cent produce milk. Of the 360 lakh litres of milk produced daily, about 50 per cent is consumed at the village level. Of the remaining 180 lakh litres, 50 lakh litres go to milk plants, including 20 lakh litres to the nine co-operative milk plants and 30 lakh litres to the 10 large private milk plants. Nearly 50 lakh litres goes to milk vendors, known as ‘dhodhis’, and 30 lakh litres to halwais (sweet makers). About 20 lakh litres of milk goes out of Punjab and the rest is directly marketed by farmers. The demand and supply dynamics indicate that spurious milk and milk products are being produced in the state not to meet any need but just out of greed. There are 52 lakh buffaloes and 21 lakh cows in Punjab, of which 70 per cent produce milk.